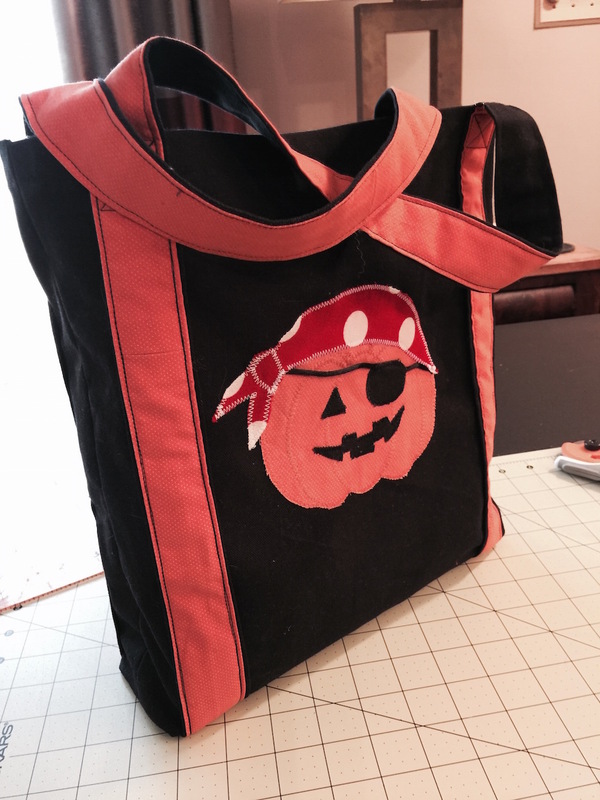 The last task of the pirate costume is the Trick or Treat tote bag of black canvas with pirate pumpkin appliques on the front and back. I found simple pumpkin templates on First Palette, with or without jack-o-lantern faces. I made this little bag by request for my granddaughter. It was supposed to be wallet-sized, whatever that is.